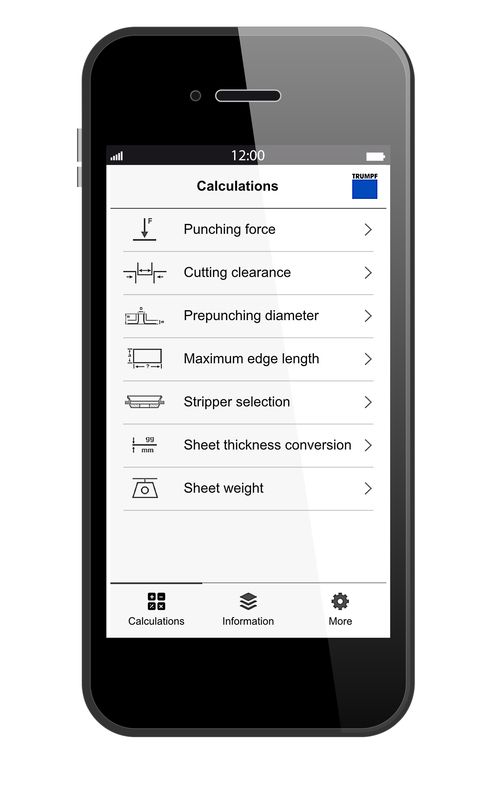 The new PunchGuide from TRUMPF simplifies many calculations associated with punching. Ditzingen, June 18, 2015 – The new PunchGuide written by TRUMPF makes the calculations involved with punching easier than ever before. That mechanical engineering company, located in Ditzingen, Germany, has packed its comprehensive expertise in the field of punching technology into this practical app, designed for use with smartphones or tablet PCs.